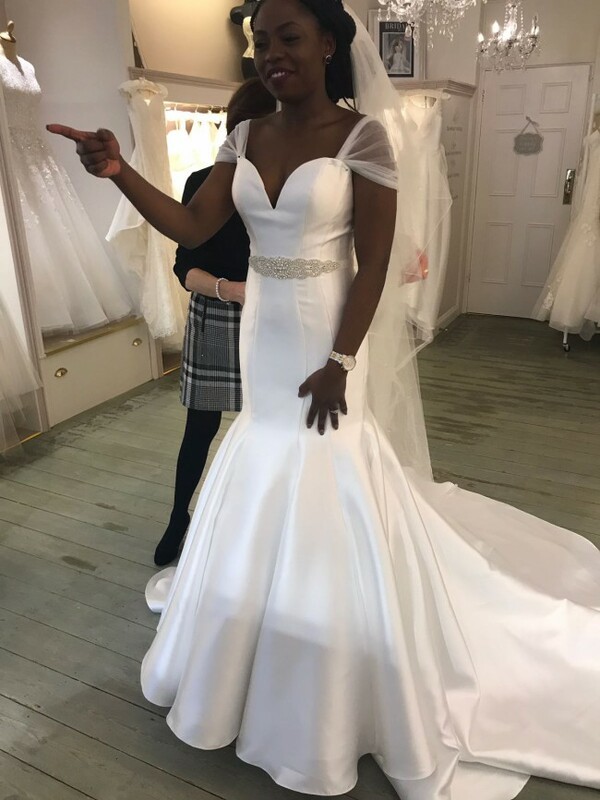 The dress is a Donna Salako dress that I wore during my wedding in August 2018. There is a picture included of how the dress was originally before I did the alterations to it. It was a strapless fitted flare dress and I added 2 detachable tulle straps to the dress and also a detachable modesty panel. The dress is gorgeous and looks elegant. The belt and veil is not included in the price, however I am happy to make negotiations if any potential bride would like to buy the dress, belt and veil. The detachable strap was added and a detachable modesty panel. Once you send a message, Ola can invite you to purchase the dress.